I started HHhH with skepticism. A publisher had recommended it to me, with an implied ‘if your work was more like this …’ An early rejection I’d received had likewise included a recommended title, but I’d found that one unreadable. 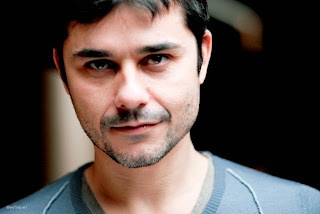 Laurent Binet’s debut novel, in contrast, compelled me to read straight through. In short, it’s the true story of the assassination attempt on Reinhard Heydrich, chief of the Nazi secret services, by two Czechoslovak resistance fighters in 1942. The book is marketed as a novel – as fiction – but aside from a few imagined scenes based on as much historical fact as could be acquired, it is very much non-fiction. Binet ensures readers are aware of that by writing himself into the story. He creates a parallel narrative in which he depicts the struggle to keep this history alive as it was. As his story develops, he mentions other books about the same events – written as historical fiction, with imagined scenes and dialogue filling in the gaps, imagined thoughts filling the characters’ heads. Though well researched, Binet admits, these books make him uncomfortable. He dislikes the tactic of turning real people into characters and making them think in languages they didn’t even know. Binet works to draw every scene, every bit of dialogue in HHhH from historical records. 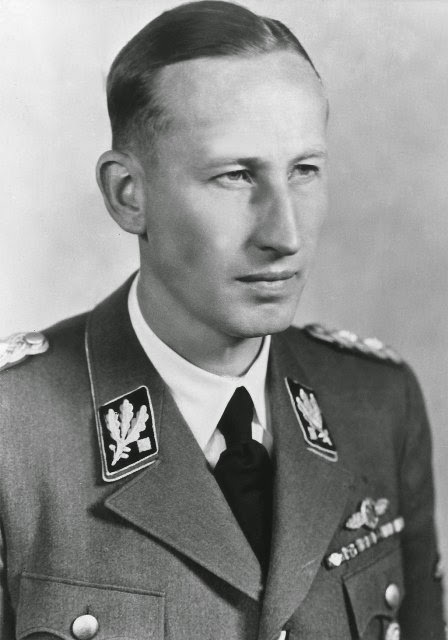 As narrator, he reveals his obsession for bringing history to life through passionate attention to minute detail – was the colour of Heydrich’s car black or dark green? And does this matter? – and he delivers all this with a keen sense of story. Binet weaves the threads of characters’ – peoples’ – lives with driving force. Throughout the book, Binet comments on his own writing – informing readers which details are wholly accurate, which ones he had to guess at, and why, if he had to guess, he felt they should be included. This style of writing might drive some readers crazy – they might wish to experience the story (historically accurate or not) without the author constantly interrupting. Perhaps it’s because I’ve battled some of these same issues in my own writing that I find Binet’s explanations, qualifications and hypotheses so fascinating. But I think I would appreciate Binet’s work regardless. It’s like being invited to watch a play from backstage, or to view the complex, mysterious innards of a jet engine. These inner workings make the experience more intimate. 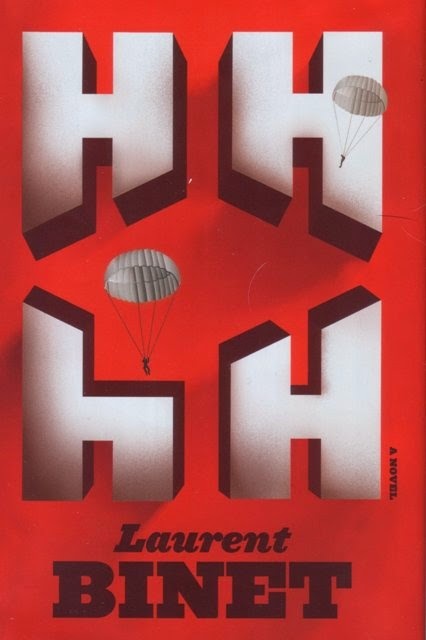 The short chapters of HHhH help to create its fast pace. The 257 chapters are on average less than two pages each (which is likely why the book contains no page numbers, an inconvenient formatting style despite the short, numbered chapters). The narrator struggles to understand his book even as it is rushing forward. By chapter 205, he states, ‘I think I’m beginning to understand. What I’m writing is an infranovel’ – by which he seems to mean a novel that allows us to peer into the black hole of history. Note that these two sentences make up all of chapter 205 – and still, it’s not the shortest chapter. Binet cares so deeply for his story, particularly for its heroes, that he occasionally slips into imagining himself alongside them, or even as them. As he says, for him this story is personal. He allows himself into his heroes’ narrative only momentarily, but works to bring us closer to the characters and Binet, as well as his struggle to represent them. In his dramatic final scene, when it’s clear the resistance fighters can’t escape the SS soldiers who come for them (and though Binet reveals this outcome in the early pages of the book, this climax is still full of drama), Binet pauses to imagine a different ending for them. It’s this complex relationship between Binet and his story that make HHhH a powerful book. 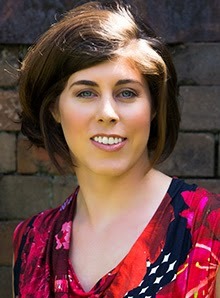 Ashley Kalagian Blunt is a Sydney resident originally from Canada. Her Armenia memoir, "The Pomegranate's Daughter" has just won a publisher introduction fellowship through Varuna, the National Writers' House in the Blue Mountains near Sydney.